OMFNC retire already would you, STOP with the empty promises. Also your a truck guru not an equipment monger. Late to the party but here is my experience. I have a Hitachi orange with really bad Zinc rot, the base completely fell apart. 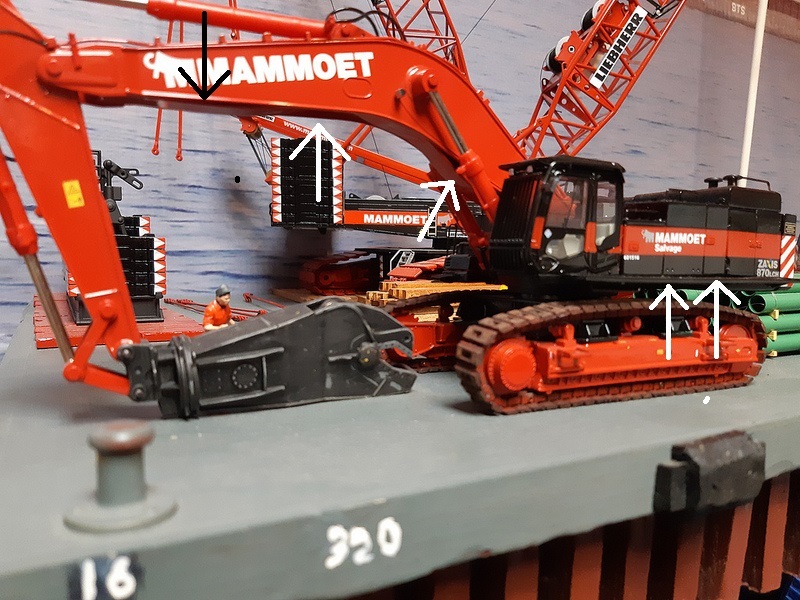 The mammoet with the custom tracks on this thread shows signs of Zinc rot, you can see the misalignment of the side panels and the cab is slightly pointing upwards. It seems the zinc rot affected earlier models, none of the other I have show it. 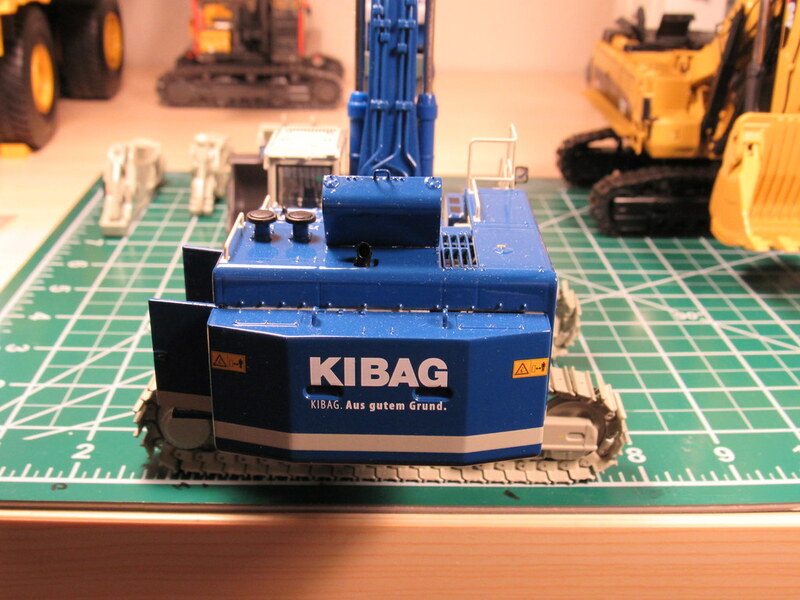 I have a few of the Kibag, a few Hitachi orange, one Ocean traders and two mammoet. You have to be careful with the Mammoet ones, those are the most prone to having that problem. Found out that there was another version that never made production. About 6 were made and one was shipped to our host! I wonder if anyone can guess what this was?? Nah I don't think, Kokosing doesn't run Hitachi-mostly Cat. 3) The model is not showing any cracks or bends on any straight surfaces. Besides parts I have replaced, it remains in its original state. Really liked the first set of pics you posted.Some time ago,when you changed the tracks,probably.Those machines,look 'at home',doing anything.The salvage machines,with shears,look really good(to me). Can we say? I was told by someone but not sure if I am ok'd to divulge in this info? Maybe Chuck can post a pic! 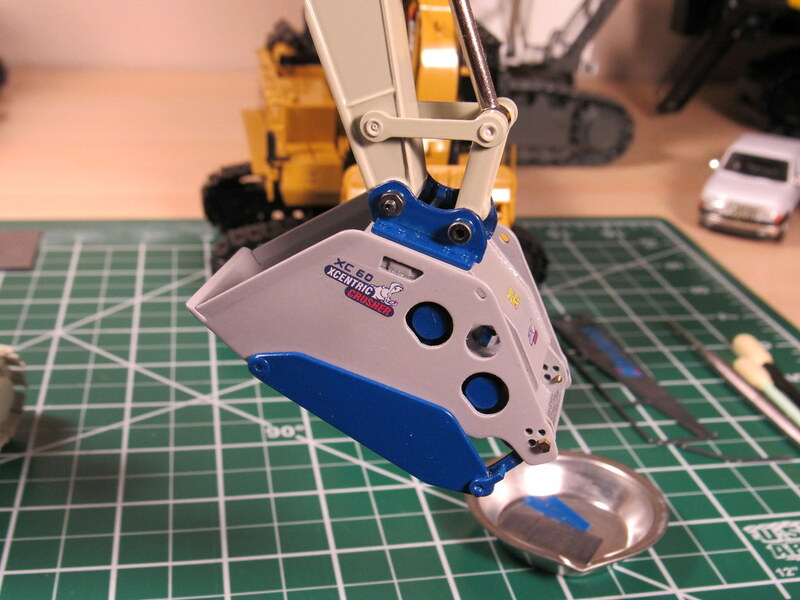 IMO this is the best excavator model on the market. The details are fantastic, WSI really went all out on this one. 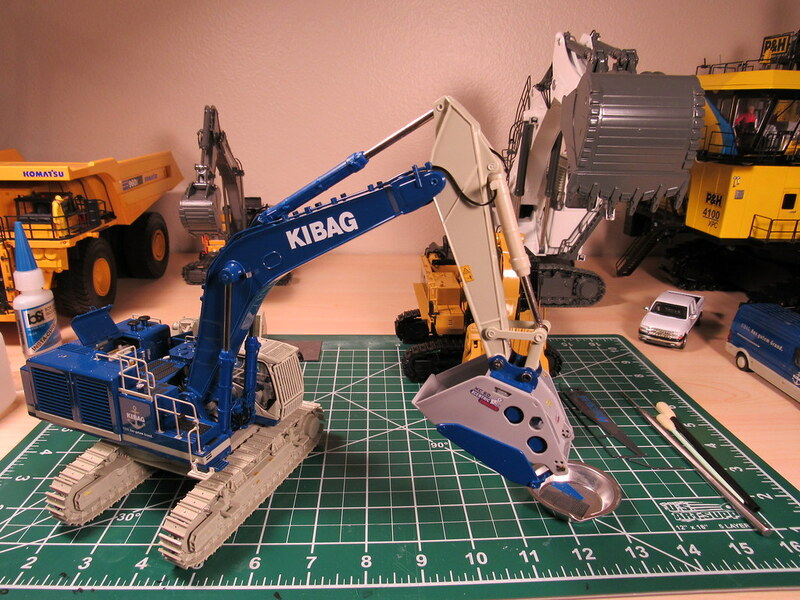 I don't think they tried this hard again on any subsequent excavator model. Unfortunately I missed my chance to get one in the Hitachi orange, but I got the Kibag. I do like the color scheme of the Kibag though. I also bought some GAZ Evans attachments. They are nice but pricey, with some casting imperfections in some places. Also the fits are pretty non consistent. The Reschke had a very wide fit while the XC60 Xentric crusher had a very narrow fit. 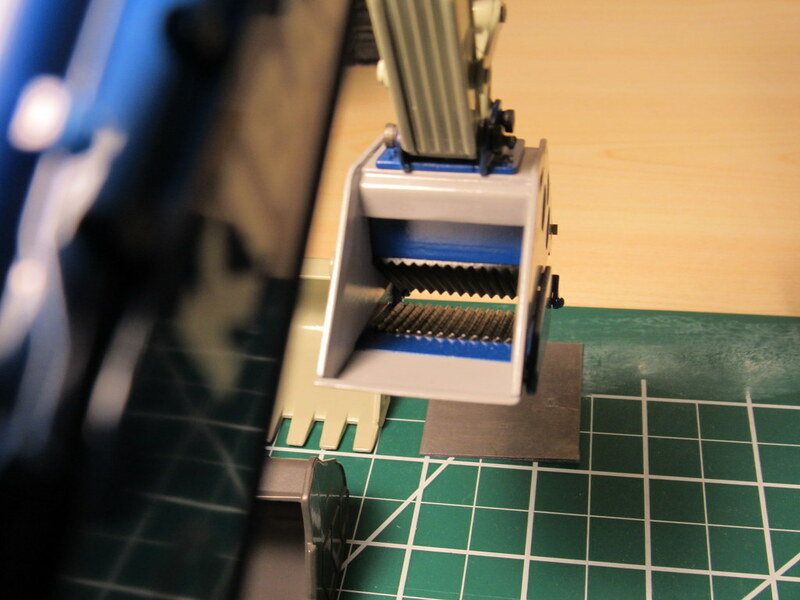 I almost wasn't able to get the crusher to fit the Hitachi, but with patience and the proper tooling I got it to fit. As it’s a while back now, never actually produced or sold (at least the one I’ve been told about), I’m not sure it would matter. But that’s assuming the one you’ve been told about is the same one I have! 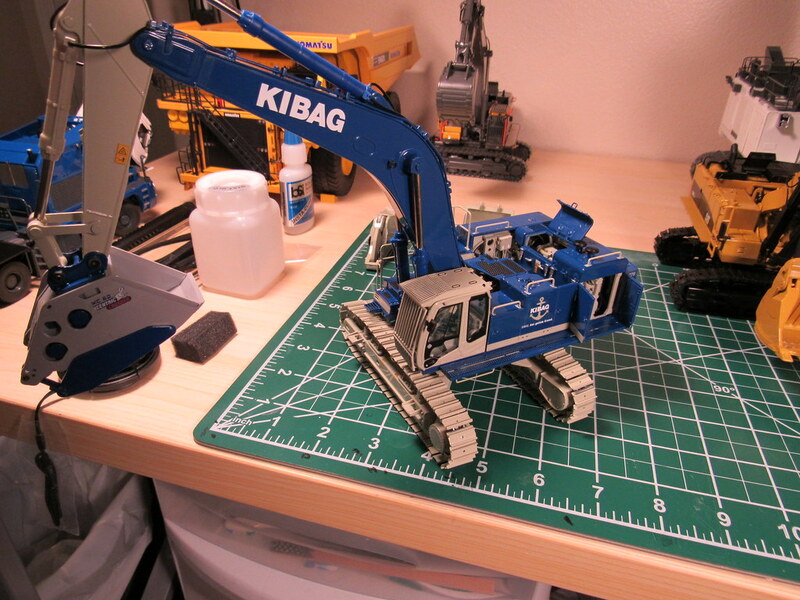 I was going to ask about this.When I saw it in the background,of your other post.That Kibag is a very nice livery,that logo is excellent.The machine looks really good with that crusher bucket.The more you look at that model,the more details you can see. Thanks modelmaniac. Yes I agree. I didn't take a picture of it, but the intake louvers are pass through and the cooling fans and fan guards are separate pieces! Truly astounding work from WSI. Take a look under the boom. You see the in and out of that piece? Zinc rot. There's more, I know where to look. I have had 3 go terribly bad on me. I find it massively unlikely that WSI would bother with making 6 of a kind models, most likely it was done by someone not related to WSI. I derive absolutely no pleasure pointing this out. The cover that goes under the boom has stretched and now it is wavy, you can see it going in and out of the boom. The gap closest to the cylinders is quite obvious. The panels on the side of the car body should have no gap whatsoever, you see that gap on models affected with Zinc rot.